This week apart from test driving the Sony Tablet S and ignoring spam emails to Christmas and New Year parties has been all about Martin Scorsese's Hugo. This week sees the release of Martin Scorsese’s Hugo we has the distinct pleasure of seeing Hugo earlier this week and I was completely and utterly reduced to a child marveling at the magic on the screen in front of me. Hugo is possibly the only family orientated that is in my top 10 films of 2011 as well as in my favourite films of all time. We absolutely loved it. Read our review over here! Really the title of this post should be: We sit in the same room as a modern master (or more correctly, Maestro) and get to hear him in conversation about his love for the medium of film, and respect as an art form. But that would not be very catchy title in this day and age. We were lucky enough to pop along to the Hugo Press Conference and hear Mr Martin Scorsese, Sir Ben Kingsley, Asa Butterfield and Chloë Grace chat about their first film memories, working on Hugo, working with 3D, a possible resurgence of silent film, and Martin Scorsese speaks about this generations obligations to the youth, working with 3D, as well as his thoughts on the future of cinema. Initially I was just going to highlight key points from the discussion and get it up quickly but as I listened to the audio I thought it merits to be on-line in it's entirety. As there may be bits that would be of interest and use to readers so I’m transcribing the whole discussion and it will be online shortly. Read it here! As we sadly missed the Sony screening of Stanley Kubrick’s restored masterpiece Dr Strangelove on their seriously high resolution 4K Projector we pushed the boat out and attended the Sony AVForums Projector Showcase. Where we got to see the Sony VW1000 the world’s first 4K home cinema projector demo’ed (mind blowingly awesome) but more entertainingly got to experience the 3D awesomeness of the Sony VPL-VW95ES as we dominated played 3D games. A full write up should be up soon with our thoughts. Chris O’Dowd has been building up a respectable (and hilarious) CV since he was in Mike Leigh's Vera Drake. Most notably his hilarious turn in The IT Crowd and most recently the sisters can do it for themselves/Hangover with depth Bridesmaids. It was just announced that he is up for an Orange Rising Star BAFTA award as well as will be competing in the 2012 Olympics, but our post is about his role as Jameson Empire the Done in Sixty Seconds (DISS) Ambassador. Read more here! We loved Hugo 3D. The down side to having seen the marvelous Hugo is that we are now of the opinion that all films should now be as thoughtful, entertaining and respectful as Martin Scorsese’s Hugo. Read our review here! We really enjoyed Gerardo Naranjo’s Miss Bala. This Mexican tale of guns, gangsters, corruption and the Miss Mexico beauty pageant has a gritty world cinema feel whilst being incredibly technically proficient. The characters and story are engaging but the real star of the film is the camera work particularly the sweeping single takes. Which bring a feeling of voyeuristic dislocation to the brutal shoot out, crime and abuse on the screen. Reminiscent of Alejandro González Iñárritu's brilliant Amores Perros but is entirely its own film. Recommended viewing. Miss Bala is currently showing in cinemas and will be released on DVD February 20, 2012. We thought we were going to hate the prequel to John Carpenter’s The Thing, but we didn’t. It is not a touch on John Carpenter’s original. But Director Matthijs van Heijningen Jr. fairs better with The Thing than he did with his abysmal Nightmare On Elm Street remake. Van Heijningen Jr must be a bit of a masochist taking on such much loved and revered material as John Carpenter’s The Thing. But he rises to the challenge and is respectful to the original whilst bringing some ingenuity to the screen. The MTV pacing really doesn’t allow the characters to develop (squandering the talent involved) or allow the suspense to build but it could have been far worse. The upside is a new audience may discover the terror that lies within. I did however absolutely love the post climax ending and I immediately made time for a viewing of John Carpenter’s original. Writers: Eric Heisserer, John W. Campbell Jr.
I’m in two minds about sharing my thoughts on One Life. I like Daniel Craig & he has a distinctive voice and I love nature and nature documentaries, particularly the astounding high quality stuff the BBC has been doing recently with David Attenborough. But I struggled with the first half of One Life. The rehashed visuals are fine, all the footage has previously been seen in the BBC's exceptional Life series and it is incredible footage) but Daniel Craig’s narration is lifeless, it literally sounds like he was handed some quickly written notes to read out. Thankfully during the latter stages of One Life music is brought in to support him and with it some atmosphere is added. It’s great that Daniel Craig could make the time to help raise awareness of nature. But I think One Life has been created to be marketed to a fairly niche audience of Daniel Craig fans’ and their kids. Sadly letting the team down. One Life is available for download, DVD and Blu-ray now. BBC Earth Films bring the most astounding stories from the natural world to the big screen. Audiences are invited to join us on a journey of new discovery, meeting extraordinary characters and following their incredible adventures. BBC Earth Films combine great storytelling with awe-inspiring HD film footage and moving scores from the world's greatest composers to connect audiences with their planet. After the sell-out success of Kapow! Comic Convention 2011, the website and ticket sales for this annual event are now available through the website www.kapowcomicconvention.com. Returning to the bright and beautiful Business Design Centre in Islington on 19th & 20th May 2012 this event is looking to expand on its triumphant first year. The comic-book, film, TV and gaming guests and events are being announced in a series of waves over the coming months, with the first 24 comic-book legends being publicised with the website going live and more to be announced in February - the TV and film guests will be start being announced from 3rd May. C.B. Cebulski, Talent Scout for Marvel Comics, explains “Marvel are really excited about coming back to London for Kapow! 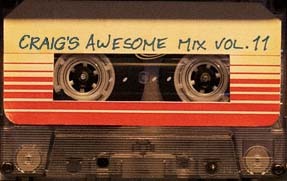 2012, we had a fantastic time last year and have some great ideas to build upon this and make Kapow! a ‘must’ event”. Tickets for Kapow! are only available in advance and through the website www.kapowcomicconvention.com. Ticket for Kapow! 2011 sold out ahead of the event, so get your tickets now. One of the most important strands of the London Comedy Film Festival is called Discoveries. They are looking for new British comedy features that do not currently have distribution, which will be shortlisted for a screening at the Festival in January. We are accepting submissions from 1st October – 1st December, after which the submissions will be narrowed down to a shortlist of 3-5, which will be announced at the beginning of January. One of the shortlist will then be screened at the Festival. Features must be 70 minutes or more in length, and should have been completed (if not shot) in 2011. If you’d like us to consider your feature film please email jonathan (at) locofilmfestival.com. We’re very happy to return screeners; just include a SAE and we’ll send it back to you. Please note: we’re not currently accepting submissions for short films. Richard, the new owner of Elstree Props has teamed up with the Replica Prop Forumn and are holding a logo design competition for members of the RPF. Elstree Props is mainly a movie memorabilia store. We aim to bring home a piece of the movies to you. Because we work with industry professionals in order to bring customers genuine props we also provide a custom prop making service for personal and professionals alike. We use industry partners to make props and costume to suite all levels of the market. The Challenge is to design a new logo for Elstree Props to appear on the website, COA's etc. There are no restrictions. Any style, any colours etc. All entries must be in by 11.59pm GMT on 31st December 2011, all images used in the design must be copyright free and entries must be submitted in JPEG format. Head over to http://www.therpf.com/f9/elstree-props-design-our-new-logo-contest-133435/ for full details of the competition. New Brighton arts hub Create is to launch The Photocopy Club, a monthly photographic exhibition of Xeroxed photographic work from all over the world, called Xerography for Photography. The Photocopy Club will be showcasing the work of hundreds of photographers who have been submitting Xeroxed signed and dated copies of their work from all over the world. The aim of the exhibitions is to raise awareness and interest in purchasing contemporary photography that is readily accessible to the public. LoCo is delighted to welcome EDGAR WRIGHT as our first annual LoCo Hero. Edgar will be introducing a special double bill of SHAUN OF THE DEAD and Mike Leigh’s LIFE IS SWEET. As part of our commitment to developing new British comedy talent, the Discovery screening is an annual screening of a new British comedy feature film that does not yet have distribution. It will be partnered with the winner of the first LoCo Short Comedy Film Award from the London Short Film Festival. World Premiere Performance: THE DAY OFF, the legendary lost script for Tony Hancock, by kind permission of RAY GALTON and ALAN SIMPSON, who will be interviewed on stage after the performance. LoCollege presents KICKSTART YOUR CAREER IN COMEDY, a two-day workshop for new and emerging comedy film-makers. Domino Publishing party with Domino performers and DJs in the Benugo Bar and Kitchen. Secret party … to be revealed. LoCo Hero party in the Benugo Bar and Kitchen. Film-makers Brunch in the Riverfront Bar and Kitchen. 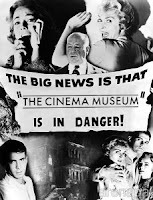 For full details and booking, please visit the BFI website www.bfi.org.uk from 1st December. London, 27 November 2011: The British Academy Children’s Awards took place earlier today, celebrating the very best in children’s film, television, games and online media of the past year and the talent behind their successes. A top line-up of presenters including Jack Whitehall, Martin Kemp, Warwick Davis, Heidi Range (Sugababes) Tanya Byron, Sam Branson, Ronni Ancona, Sam Claflin, Richard Fleeshman, Laura Hamilton, Anthony Horowitz, Sebastien Izambard (Il Divo), Dakota Blue Richards and Ted Robbins joined host Barney Harwood at the London Hilton on Park Lane. The final Harry Potter installment, Harry Potter and the Deathly Hallows: Part 2, took the Feature Film Award and the BAFTA Kids’ Vote in the ‘Film’ category. This comes as a fitting climax to a year in which the franchise received the Outstanding British Contribution to Cinema Award at the Orange British Academy Film Awards earlier in 2011. Hammer has launched an official print-on-demand online store today, featuring iconic UK quad artwork from legendary horror titles including One Million Years B.C. and The Devil Rides Out. Additionally, to coincide with the release of Marcus Hearn’s new official book “The Hammer Vault” which hits stores on 2nd December 2011, Hammer is releasing online exclusive content from The Woman in Black at www.hammerfilms.com at Noon on the same day. MP Ed Vaizey, UK Minister for Culture, Communications and Creative Industries, arrives in LA today to promote the UK to the US film industry. On the back of the UK Prime Minister David Cameron's recent announcement that the UK film tax relief has been extended until at least 2015, the trip aims to boost inward investment. Vaizey, joined by British Film Commission (BFC) CEO Adrian Wootton, will meet with senior representatives from LA's top studios and production companies over two days. The Film Minister will also be a special guest at the LA BAFTA's annual Britannia Awards. The visit aims to further develop relationships between the US and UK to increase the number of American productions shooting in the UK. It will also allow Vaizey to personally observe the thriving US film industry ahead of the publication of a comprehensive film policy review, due shortly. The UK is home to world-class talent, in front and behind the camera, state of the art facilities and fantastic locations. In recent years it has been increasingly popular with big budget US productions for both its production and post production services. The BFC, the national body responsible for attracting, encouraging and supporting the production of international feature films in the UK, reported record breaking figures for inward investment in 2010 at almost £1bn. Productions which have recently shot in the UK include Snow White and the Huntsman starring Charlize Theron, Bryan Singer's Jack the Giant Killer, Gravity starring George Clooney, Ridley Scott's Prometheus, World War Z starring Brad Pitt, while the 23rd Bond film, Skyfall, is currently in production. Brian Oliver, President of Cross Creek Pictures, Simon Oakes, Vice-Chairman of Exclusive Media Group and President & CEO of Hammer Films and Guy East and Nigel Sinclair, Co-Chairmen of Exclusive Media Group (“Exclusive”) announced today that Hammer has acquired the rights to the novel “Boneshaker” by Cherie Priest for adaptation to the big screen. Project will be co-produced by Hammer and Cross Creek Pictures and co-financed by Exclusive and Cross Creek Pictures. An example of “steampunk” science-fiction, which incorporates futuristic innovations into a Victorian setting, Priest’s novel is set in an alternate version of 1880s Seattle, where the city has been walled in and a toxic gas has turned many of its remaining residents into “Rotters,” more commonly known as zombies. A young widow hunts for her teen son in the Seattle underworld, while dealing with airship pirates, a criminal overlord and heavily armed refugees. “Boneshaker” was nominated for a 2010 Hugo Award for Best Novel, and won the 2010 Locus Award for Best Science Fiction Novel. The novel, published in 2009 by Tor Books, is the first in a series set in the same Civil War-period, alternate-world Priest has dubbed “The Clockwork Century.” The series’ second novel “Dreadnought” was published in 2010 and the third novel titled “Ganymede” was recently released online and in bookstores on September 27th. On 24th November, Tesco HGV driver Paul Tremaine, made a very special delivery in his newly transformed Optimus Prime lorry. As a massive fan of Transformers, long serving HGV driver Paul Tremaine, 45 of Chelmsford, Essex asked his Tesco bosses if he could pimp his lorry, and they obliged as a Christmas treat for him and the team at his Harlow depot. Tesco then teamed up with Paramount Home Entertainment to arrange for one of the lorries to be transformed. 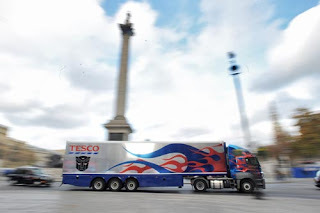 Paul, who has worked as an HGV driver for Tesco for 23 years, now has the task of using the transformed lorry – which the team have dubbed Tescoptimus Prime – to deliver the first batch of Transformer: Dark of the Moon DVDs to stores. The transformed lorry will be on the road from November to January next year and will be making its first delivery of Transformers: Dark of the Moon DVDs when it is released on Monday 28th November. Entertainment One is proud to announce that the first ever Biker Ride-In Screening at the Ace Cafe London was a brilliant success with over 50 bikers in attendance. The London Bikers joined other sports and bike fans to be a part of motor sport history, marking the release of TT3D: Closer to the Edge, out on 3D Blu-ray and DVD 28th November 2011. Following the exhilarating action of the world-famous Isle of Man TT Races as the film tracks the competitors of the 2010 race as they speed at up to 200mph in search of the ultimate thrill ride and examines their need to go to the extreme to feel truly alive. Harry Potter and the Deathly Hallows – Part 2 releases on Blu-ray Triple Play, DVD and Digital Download in the UK next Friday 2nd December. Harry Potter and the Deathly Hallows - Part 2 is the final adventure in the Harry Potter film series. The much-anticipated motion picture event is the second of two full-length parts. Meet Doug Glatt (Seann William Scott). He may not be the sharpest blade on the rink, but he’s got a killer right hook. From the creators of Superbad and Pineapple Express comes an ice cool comedy that proves that it’s not the winning, it’s the taking apart of the other team that counts. Arrietty on DVD and Blu-ray on 9th January 2012 courtesy of STUDIOCANAL. Network is proud to announce the DVD release of both MADE In Chile: Two Films By Pablo Larrain and Post Mortem on 23rd January 2012. Made In Chile: Two Films By Pablo Larrain includes not only the critically acclaimed Post Mortem but also Larrain’s astonishing directorial debut Tony Manero. Santiago, 1973. Mario Cornejo (Alfredo Castro) works at a morgue, typing out reports on autopsies performed by the coroners. On the days leading up to the military coup resulting in Salvador Allende’s death, he gets involved in a love affair with Nancy (Antonia Zegers), a dancer from the cabaret Bim Bam Bum. The story of this apparently charmless and insignificant couple is Chile’s story during the infamous military coup. Larrain uses Mario’s ideal of conquering the impossible love of a woman as the ideal of a nation trying to conquer a noble but unattainable political model (socialism). All this amid the bodies of those who died as a result of military ideals imposed with no care for their cost or consequences. Chile, 1979. Fifty-something Raul Peralta is obsessed with John Travolta’s character from Saturday Night Fever and will do anything, including mindless, gruesome murder of the innocents, to win the national Tony Manero impersonation competition. When 12 year-old Chanda and her family learn of an unpleasant rumour that spreads through their village like wildfire, her mother is forced to seek refuge from the prejudice of her superstitious neighbours. Chanda soon begins to suspect, however, that things might not be as they seem: fearing for her mother’s safety and unable to trust even those closest to her, she sets out on a journey to uncover the truth. 'Life, Above All' is a resonant and emotional drama about a young girl (stunningly performed by first­time-actress Khomotso Manyaka) who fights the fear and shame that have poisoned her community. The film captures the enduring strength of loyalty and a courage powered by the heart. Directed by award-winning South African filmmaker Oliver Schmitz ("Mapantsula", "Paris, je t´aime"), it is based on the international best-selling novel “Chanda’s Secrets” by Allan Stratton. ‘Life, Above All’ premiered in 2010 at the Cannes Film Festival in ‘Un Certain Regard’ followed by the BFI London Film Festival. It played at the Human Rights Watch Film Festival in March and was released in UK cinemas during the summer of 2011. Simon Callow And Harry Enfield Star In A Devilishly Dark Comedy Acts Of Godfrey is a truly original new British film from writer/director Johnny Daukes which began as a poem, progressed into a story and then a full-length screenplay, making it the first feature film written entirely in verse. Described as a modern twist on Shakespeare, Acts Of Godfrey mixes humour with revenge, betrayal, love and magic. The result is a sharp and witty black comedy full of clever word play. Opening at cinemas in January 2012, the unique and spirited script attracted a stellar British cast including Simon Callow, Harry Enfield, Celia Imrie and Doon Mackichan. Acts of Godfrey (Guerilla Films) will be released at cinemas throughout the UK in January 2012. Without question the coolest movie of 2011, Icon Home Entertainment is pleased to confirm the highly anticipated Blu-ray, DVD & Digital Download release of DRIVE on January 30th 2012. Directed by Nicolas Winding Refn (Bronson), DRIVE features one of the hottest young casts ever assembled, starring Academy Award Nominees Ryan Gosling (The Ides of March, Blue Valentine) and Carey Mulligan (An Education, Wall Street 2: Money Never Sleeps) alongside Golden Globe Winner Ron Perlman (Sons of Anarchy, Hellboy), Emmy Nominee Christina Hendricks (Mad Men), and Academy Award Nominee Albert Brooks (Taxi Driver). Since its worldwide premier at the Cannes International Film Festival in May 2011, where Winding Refn claimed the prestigious “Best Director” award, DRIVE has wowed audiences and critics alike, not since Quentin Tarantino’s Pulp Fiction has a film been made with such an assured sense of direction, and knowing respect to its legacy of modern classic cinema. Adapted from James Sallis’ 2005 novel of the same name, DRIVE is the story of a Hollywood wheel-man for hire, stunt driving for movie productions by day, and steering getaway vehicles for armed heists by night. After a job spins unpredictably out of control and our Driver finds himself as a target for some of LA's most dangerous men, the only way he can keep himself, Irene, and her son alive is to do what he does best - Drive! With a star-making turn from Ryan Gosling in the lead-role and many memorable performances from a phenomenal supporting cast, DRIVE delivers an original style and substance all of its own. Already being hailed as a modern masterpiece, the Blu-ray & DVD release of DRIVE will contain the following special features: a Q&A with director Nicolas Winding Refn from the BFI; 2 x Poster Galleries - “Capturing Drive: The Anatomy of a Film Poster” & “Reflecting Drive: Alternative Poster Designs”; Stills Gallery; “Drive in 60 seconds” TV spot; and the UK Theatrical Trailer. The release date For Man On A Ledge has moved to Friday February 3rd, 2012. MAN ON A LEDGE is the upcoming heist thriller starring Sam Worthington, Elizabeth Banks, Anthony Mackie, Jamie Bell, Ed Harris, Ed Burns and Genesis Rodriguez. In 1979, Monty Python’s “Life Of Brian” became one of the most controversial films ever to be released in British cinemas, causing outrage amongst religious groups, members of the public and politicians, most of whom hadn’t even seen the film. Accusing it of being blasphemous, many called for the film to be banned. Now, the brand-new, critically acclaimed comedy-drama Holy Flying Circus revisits that period and delivers a witty, entertaining and affectionate homage to the Pythons and the film that, today, has become accepted as one of the greatest comedy movies of all time. Garnering Five Star reviews in Heat and TV Times (“Anarchic and witty with post-modern flourishes that the Pythons themselves would be proud of”) and Four Star reviews in the Daily Express and the Daily Mail (which praised it for being “batty and exceptionally well made”), it was hailed by the Sunday Telegraph for being “cheeky, fantastical… [and] very funny,” acclaimed as “a triumph” by The Sunday Times and considered “one of the most insanely creative, joyous, electric, ridiculous, heartfelt, ballsy and unique dramas I have ever seen” by Caitlin Moran on The Saturday Times. Holy Flying Circus presents a fantastical, Pythonesque re-imagining of the events leading up to and including the riveting TV debate and the eventual release of “Life Of Brian” in British cinemas. A brilliant and very funny work on its own merits, it is a must-see for Monty Python fans and all those with an interest in the vagaries of comedy. Holy Flying Circus will be released on DVD on 6th February 2012. Tells the story of the outraged, and sometimes violent, response to 'The Life of Brian' the Monty Python movie that satirized the life of Jesus. Peccadillo Pictures presents a film by Céline Sciamma – Tomboy. Ten year old Laure isn’t like most girls. She prefers football to dolls and sweaters to dresses. When Laure, her parents and little sister Jeanne move to a new neighborhood, family life remains much the same. That is, until local girl Lisa mistakes Laure to be a boy. Indulging in this exciting new identity, Laure becomes Michael, and so begins a summer of long sunny afternoons, playground games and first kisses. Yet with the school term fast approaching, and with suspicions arising amongst friends and family, Laure must face up to an uncertain future. Not to be mistaken for the in development hell David Fincher adaptation of Eric Powell’s The Goon comic but rather what looks to be an absolutely hilarious sports film that hits all the right notes. Co-adapted by the vastly talented Jay Baruchel and starring the very entertaining Seann William Scott & Jay Baruchel – this looks like comedy gold.